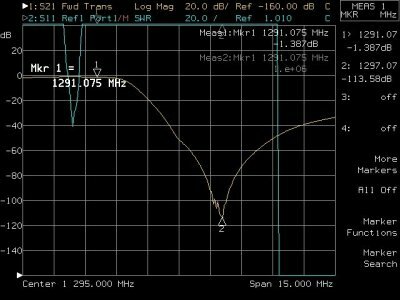 As we know, in order to get maximum repeater sensitivity with frequency spacing of 600 kHz, an isolation of about 90dB between RX and Tx is needed for FM analog repeaters, but for Dstar digital repeaters you need 120dB. 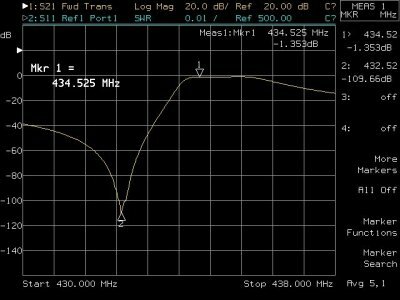 This is due to the sensitivity of the digtal Rx is half than narrow band FM, and you will need a low noise Amplifier. Repeater Tx output is ok with 30w or lower ( take care of power heating). Receiver should be protected from the influence of both high-power carrier and transmitter noise. To accomplish the first statement the receiver circuit is equipped with filters. Noise reduction filters are installed directly into the main source of the noise – transmitter. These filters may be interconnected. This assembly is known as duplexer. The duplexer allows receiver and transmitter to share simultaneously one common antenna. 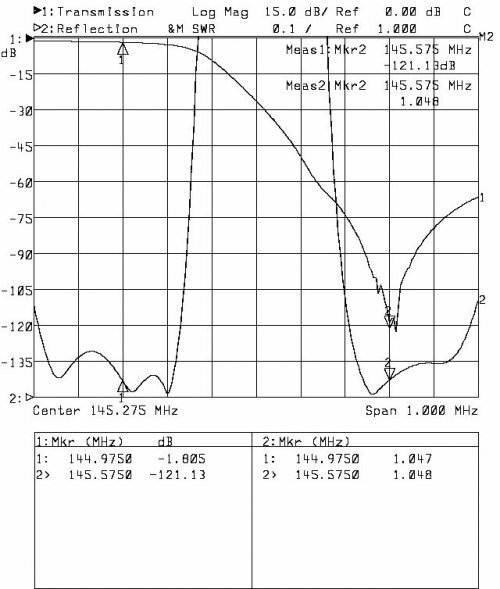 Operating frequency band (144 – 146 MHz) is enabled by quarter-wavelength ¼ square-shaped coaxial resonators with side of 4” (100mm). There are 6 such filters. Main resonator is made of copper. The resonator is firmly screwed to upper cover to eliminate energy loss. Case of the resonator is made of aluminum and by extrusion molding. 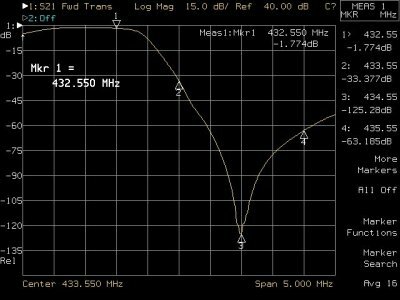 Frequency adjustment is enabled with specifically designed capacitor. Its knob is located at the side panel of the resonator. After making adjustments the capacitor is locked with a nut. As youcan see, this resonator has no thermal compensating screw made of Invar, as distinguished from DPRE and DPR professional duplexers. But it makes no difference if a duplexer is located in a heated space. A thermal drift of +/-15 degrees does not affect the operation of the resonator. Therefore, such solution helps to reduce the duplexer production costs. 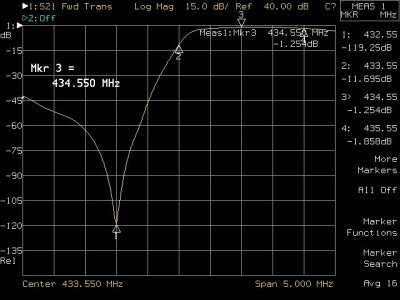 30-40 dB signal rejection in each resonator is achieved by a coupling loop and cable capacitor. 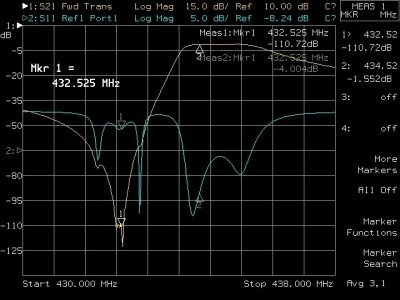 We have eliminated traditional movable coupling loops with variable interaction factor due to amateur repeaters having 600kHz constant fixed frequency spacing. Such design allows reducing cost and provides all required electrical characteristics. Filters are interconnected by Habia semi-rigid 0.141” cable with fluoroplastic insulation. Cables are soldered directly without connectors. Thus, we gain savings in both cost and power energy. 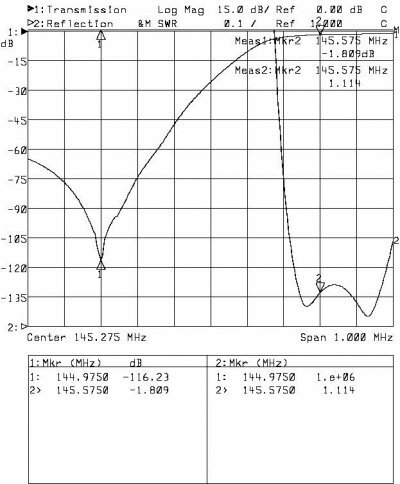 Be shure to use dubbel screened coax at repeater site. Copyright © 2017 SK3XX & SA3CFY All rights reserved.